Former Australian cricketer Kerry O'Keeffe has apologized for ridiculing Indian batsman Mayank Agarwal's first-class career while commentating during the ongoing third Test here, saying he did not intend to demean the debutant. 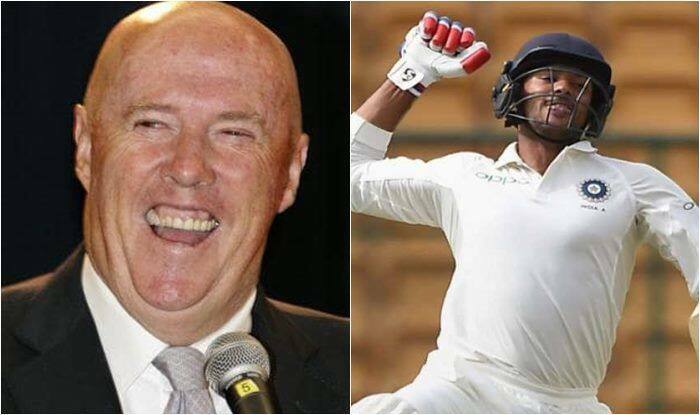 India vs Australia 3rd Test Melbourne: Former Australian cricketer Kerry O’Keeffe has apologized for ridiculing Indian batsman Mayank Agarwal’s first-class career while commentating during the ongoing third Test here, saying he did not intend to demean the debutant. The former spinner, while commentating for ‘Fox Cricket’, was quoted as saying that Agarwal’s maiden first-class triple-century came against “Railways canteen staff”. O’Keeffe was criticized on social media for the comment and the cricketer, who played 24 Tests for Australia, apologized on Thursday for comment on Agarwal, who scored 76 in his maiden Test appearance. “I was mentioning the runs Agarwal got in first-class cricket in India and there’s been a reaction,” he was quoted as saying by the local media here. “There was no way I was demeaning the standard, it was tongue in cheek. There are lots of runs scored so apologies if anyone out there took offense,” he added. The 27-year-old Agarwal plays for Karnataka in the Indian domestic circuit and averages close to 50. The four-Test series between India and Australia is locked 1-1 after the visitors won the lung-opener in Adelaide and the hosts drew level in Perth. At stumps on day 2, Australia is at 8 for no loss with openers Aaron Finch and Marcus Harris unbeaten at 3 and 5 respectively. India lead by 435 runs and it seems they have taken the Melbourne Test out of Australia’s reach.